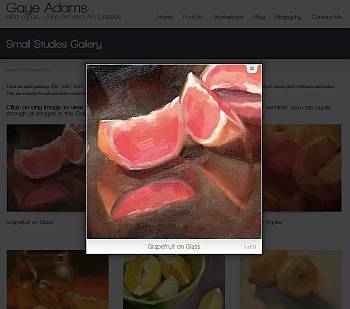 Gaye Adams creates beautiful paintings, and teaches others to paint. Her original site was looking dated, and the black background made text hard to read. 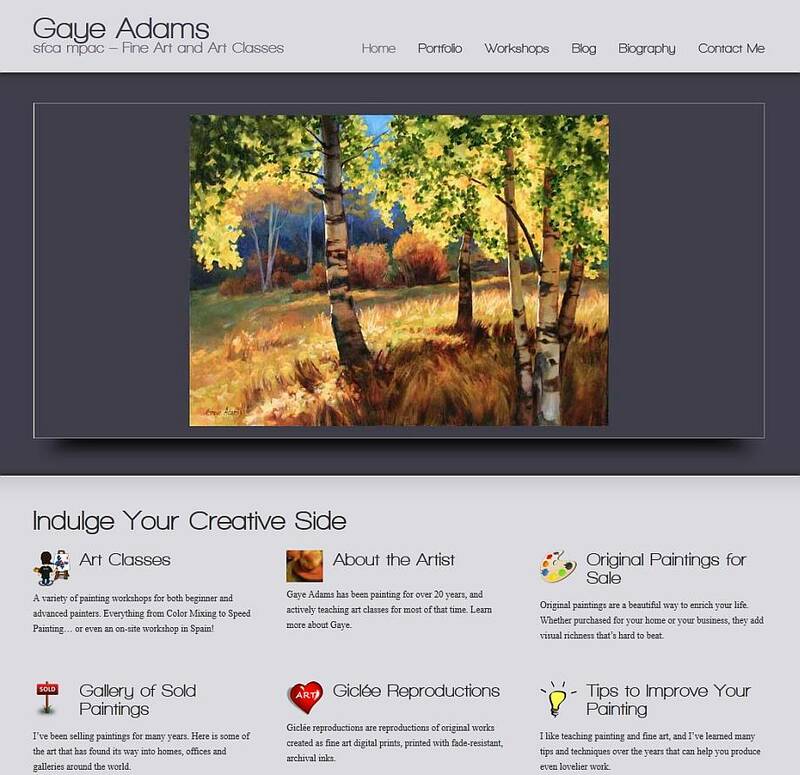 Every time Gaye created a new painting or planned a new course, she had to pay her webmaster to update the site. 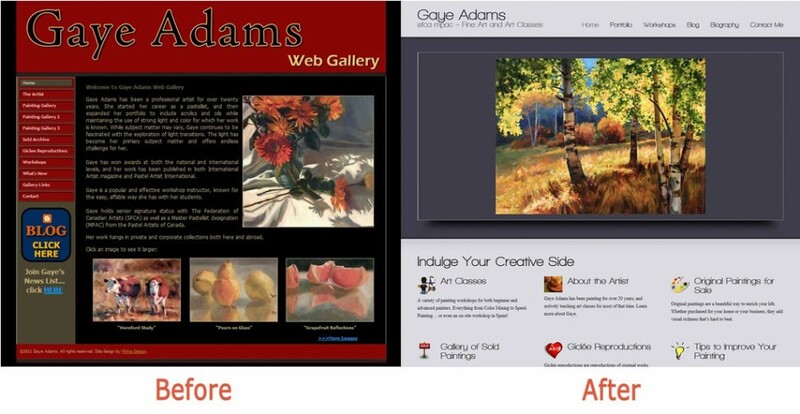 The solution was a professional and attractive site that showcased her paintings in an attractive slider, and allowed Gaye to make her own updates. Site organization was improved and Gaye now maintains multiple galleries on her own. The professionalism of her site has improved and her cost of maintenance has dropped dramatically.